(Jakarta, 31 August 2016) More extensive consultation, better maps and a better grievance mechanism could have helped prevent a conflict at a palm oil plantation in Kubu Raya, West Kalimantan that has now dragged on for seven years. The longer it has gone on, the messier it has become, with new parties that were never part of the original dispute and a dangerous ethnic dimension that has just emerged. In its latest report, Anatomy of an Indonesian Oil Palm Conflict, IPAC examines a conflict that began in 2009 with a concession awarded to private company without full consultation with the affected farmers across seven villages and without clear mapping or markers to determine the boundaries. A second company secured a permit shortly thereafter and began planting oil palm on land that encroached on the first concession. Both companies made deals with village heads for acquiring land, some of which was individually owned by both long-term Melayu and Bugis villagers as well as by Javanese transmigrants. Both also made vague promises about including farmers as smallholders on the plantation, raising expectations that were never fulfilled. As discontent grew, a farmers union backed by the second company began organising farmers who had lost their land to the first. Local politicians and police got involved, and a dispute that could have been relatively easy to resolve at the outset became infinitely more complicated. 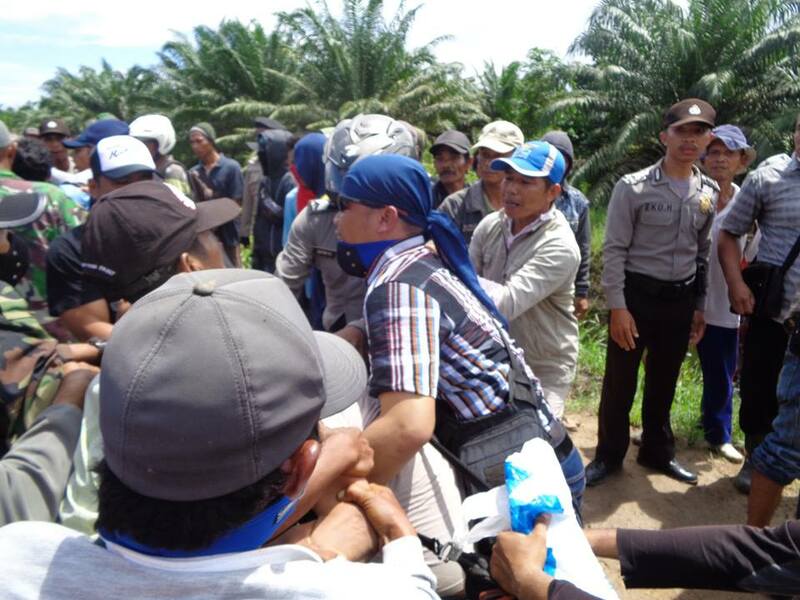 The Kubu Raya case is unusual in that it also involves a string of legal victories for one group of farmers, culminating in a 2014 ruling by the Supreme Court that ordered the first company to remove their land from the concession area. But, says IPAC, instead of being an uplifting tale of the weak triumphing over the strong, it turns instead into a more familiar story of divided communities, dubious claims, contradictory regulations and competing political interests. As the first company moved very, very slowly toward responding to the court ruling, it also took a harder line toward union members who mobilised to harvest tonnes of palm fruit from the concession. The company called the action organised theft and filed a criminal complaint with police. The union called it “criminalisation” of farmers who were only taking what was rightfully theirs. As the temperature escalated in late June 2016, a militant Dayak group with close links to the provincial government suddenly joined the fray on the side of the farmers to claim the concession area as customary land, though very few of the claimants are Dayak. Neither of the two companies involved in this dispute are members of the Roundtable on Sustainable Palm Oil (RSPO). Had they been, they might have been more prepared to uphold RSPO principles, including on engaging with local communities, and farmers might have turned early on to the grievance mechanism available, avoiding years of costly conflict.